Detailed below provide the Derby Pearson Professional Theory Test Centre contact address details, services offered and advice for booking and taking your theory test. Theory test centres are typically located close to train stations often requiring a short walk only. Station telephone number: 0845 7125678. Train station is approximately 1.2 miles (24 minute walk) from Derby Theory Test Centre. 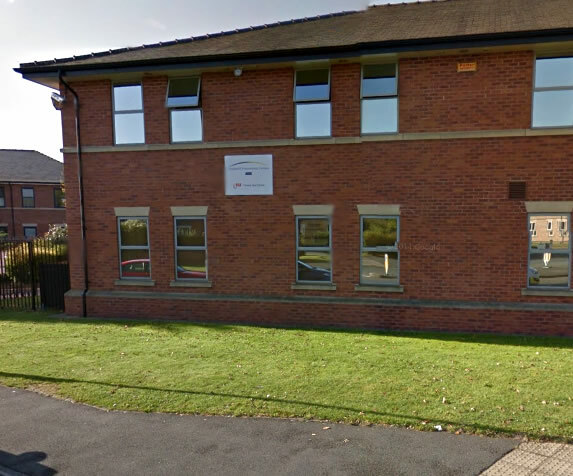 Arriving by car: Car parking is available on Phoenix Street, approximately a 7 minute walk to the theory test centre. Two options are available for theory test bookings; either by telephone or via the internet. You’ll need your driving licence ready when you book as some details from it are required. The DVSA (Driving and Vehicle Standards Agency) manage all UK theory test bookings. Telephone and e-mail contact details of Pearson Professional who conduct the theory tests can be found within the booking section. An automated telephone line is available to book a theory test. To arrange a theory test in Derby, please see the book a driving theory test section for telephone booking details. Though this number is automated, you can be put through to a member of the DVSA staff if you have any queries. Due to vacant theory test slots being displayed online, internet theory test booking is a popular option. To book your theory test in Derby, see the book a driving theory test section for all DVSA theory test booking information. If you cannot attend your theory test on the date arranged, you are entitled to reschedule providing three clear working days notice is given. If you wish to cancel and receive a full refund three working days notice must also be provided. When you have completed the booking process of your theory test, the DVSA will e-mail you confirmation of the time and date of your test along with a reference number. In the event of any complications, it is advisable that you print your theory test confirmation e-mail and take it with you to Derby Theory Test Centre. Leave plenty of time to arrive before your theory test as late arrivals will often be unable to sit the test and will lose the test fee. Inadequate forms of identification can also see test candidates refused entry to the test. Ensure you take along your provisional driving licence (photocard). If you have lost your licence, you’ll need to contact the DVLA to order a new one. See the learning to drive section for information on obtaining a new licence. We all like reviews as it prepares us with what to expect. Write a quick review of Derby Theory Test Centre to let us know how it went. For example, tell us how easy it is to find the test centre, whether there are parking facilities available. Were the staff polite and are there adequate facilities for test candidates. And of course don’t forget to tell us if you passed. Reviews are quick and simple, no sign up and only your nickname will be displayed. To ensure your review meets our guidelines, please read our Terms and Conditions prior to submission.